Kibuishi was hesitant to take on the project at first, however; GrandPré's original pastel covers "are so fantastic and iconic," he said, that "when I was asked to submit samples, I initially hesitated because I didn't want to see them reinterpreted." But Kibuishi's illustrations are not meant to replace GrandPré's. 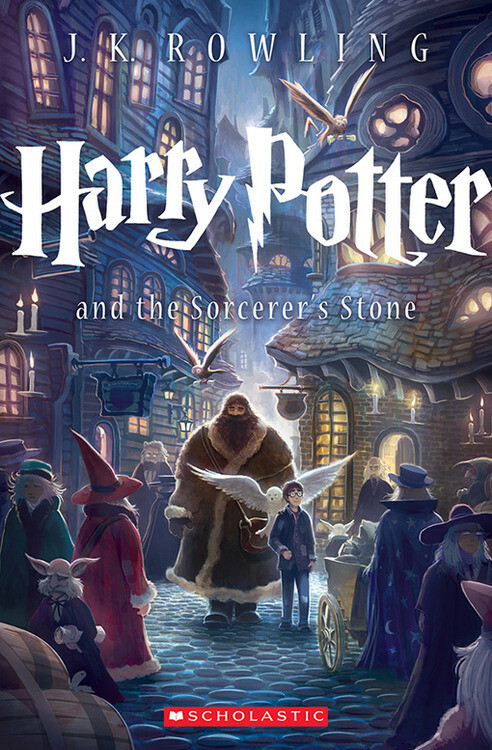 Instead, Ellie Berger, president of Scholastic Trade Publishing, explained to the Guardian that the covers were a "way of attracting the interest of a new generation of 8- and 9-year-olds who may know Harry mostly through the movies," for the trade paperback versions. GrandPré's art will still appear on hardcovers and certain mass-market paperback editions. Kibuishi added, "I could bring something to it that many other designers and illustrators probably couldn't, and that was that I was also a writer of my own series of middle-grade fiction." "As an author myself, I tried to answer the question, 'If I were the author of the books - and they were like my own children - how would I want them to be seen years from now?' When illustrating the covers, I tried to think of classic perennial paperback editions of famous novels and how those illustrations tend to feel. In a way, the project became a tribute to both 'Harry Potter' and the literary classics."